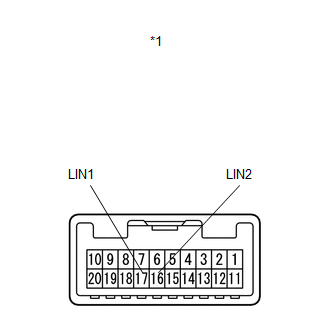 This DTC is stored when LIN communication between the power window regulator motor assembly (for driver side) and main body ECU (driver side junction block assembly) stops for more than 10 seconds. No communication between the power window regulator motor assembly (for driver side) and main body ECU (driver side junction block assembly) for more than 10 seconds. When the power window regulator motor assembly (for driver side) is replaced or removed and reinstalled, it requires initialization (See page ). 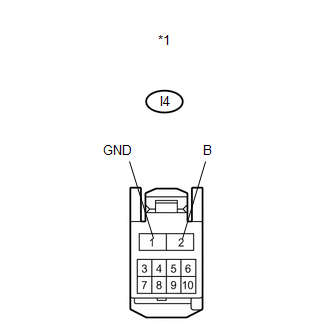 Only DTC B2321 is output. 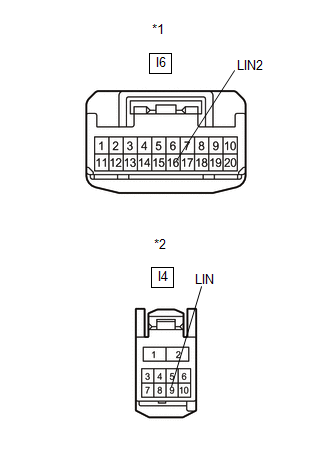 DTC B1206 and B2321 are output simultaneously. When DTC B1206 and B2321 are output simultaneously, perform troubleshooting for DTC B1206 first. (a) Disconnect the I4 motor connector. 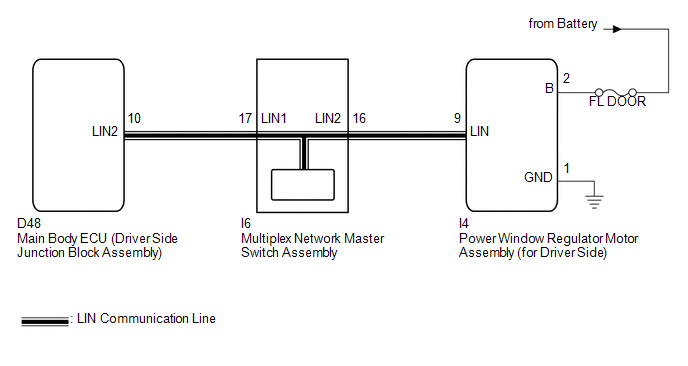 (a) Remove the multiplex network master switch assembly (See page ). (a) Replace the power window regulator motor assembly (for driver side) (See page ). DTC B2321 is not output.